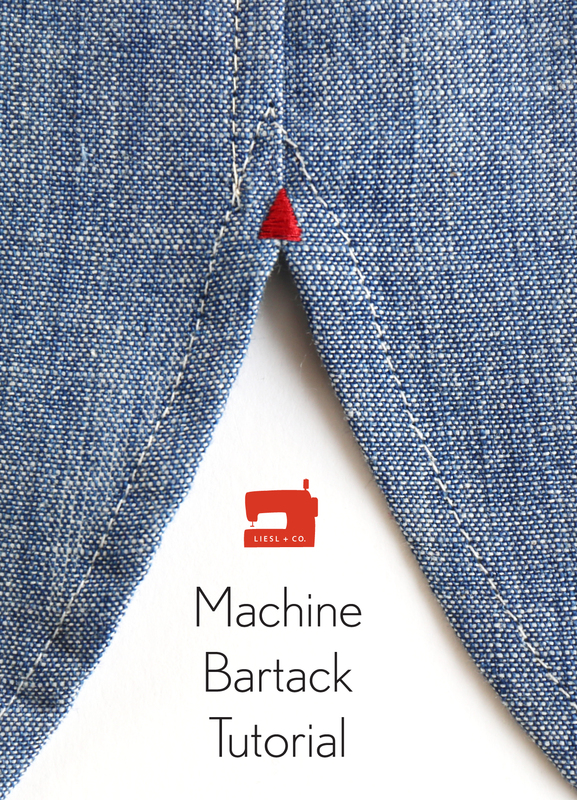 A bartack is a handy little detail you can add to your sewing to strengthen the fabric at a stress point. But bartacks can also serve a decorative role, especially if you play around with your sewing machine a bit. And now that we’ve released the new Liesl + Co. Classic Shirt pattern, you have a great new location to use this technique! But, really, you can use it on many, many more patterns than this. Fun, right? And so fast! I plan to keep playing around with other stitches to see what else I can do. Maybe a circular grommet instead of a triangle would be a fun detail. 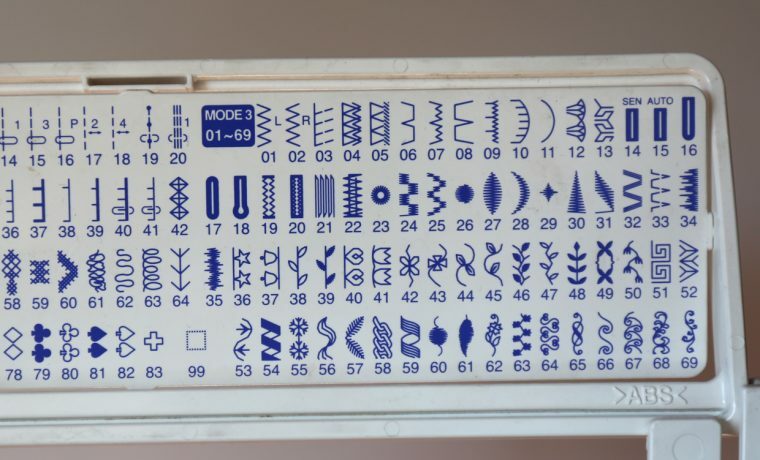 If you have a machine with embroidery stitches you probably have something similar you can use to make bartacks, too. But here’s my point: you don’t need a fancy machine to get similar results. Here are the stitch settings my triangle bartack used. It starts at a stitch width of (or close to) 0 and very quickly works its way up to 7.0, all while stitching at a length of 0.4 so the stitches are dense and close together without being on top of each other. How hard could it be to do something similar by manually adjusting the machine? It took me a little bit of playing around with some scraps of fabric, but after a few tries this is what I ended up with after simply adjusting the machine by hand as I stitched, no fancy embroidery stitches used. Not too bad, is it? 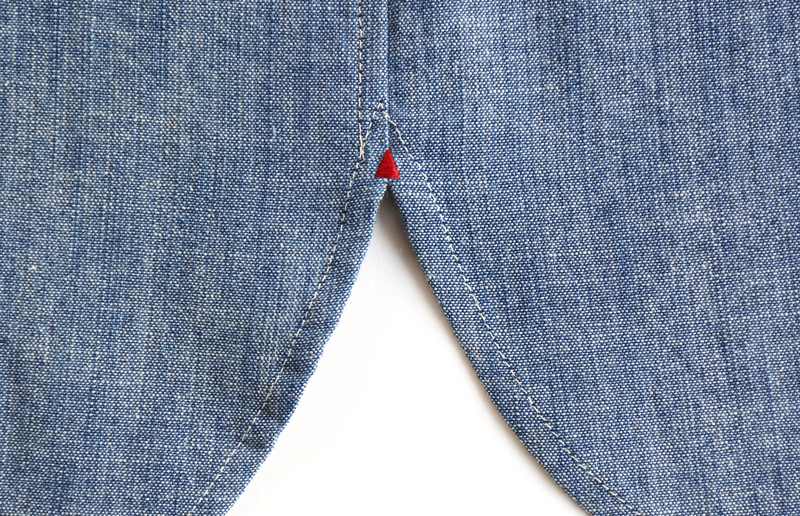 I’ve been adding these bartacks to my Bento Tees and Maritime Tops and anywhere I add a side seam vent. 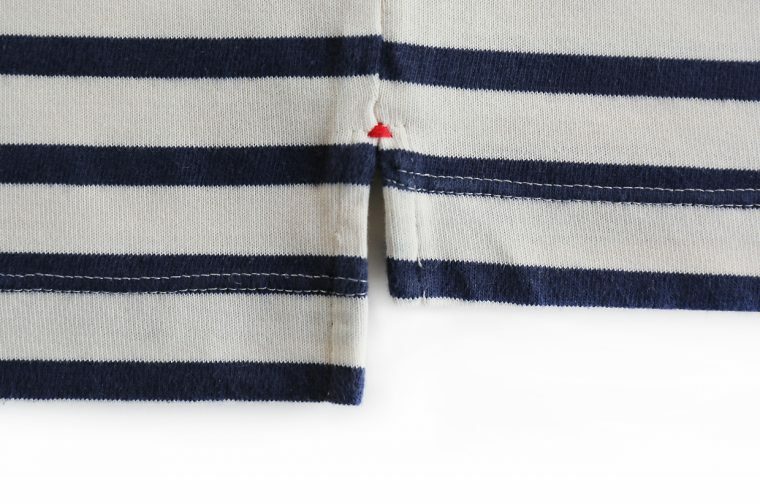 I’ve also added them to a few Classic Shirts because it’s fun to have that little pop of color while also strengthening the join at the side seam. Hold your fabric taut so it doesn’t pucker when the needle moves back and forth. If you have an embroidery hoop or some sort of stabilizer, that might help too. Start at a very narrow stitch width and after every two stitches (one zig and one zag) move up to a wider stitch setting, with the needle lifted when you change the width. Keep doing this until you hit your widest stitch setting. The bigger the jump between stitch widths, the shorter your bartack will be. Let me know how it goes and where you add them! I’m sure S will be stitching snowflakes and scrolls wherever she gets a chance. Brilliant, thanks for that. It’s one of those ‘why didn’t I think of that?’ ideas! Well what do you know, I’ve done exactly this to sew face features on softie toys but never thought to do it on a garment. Very nice finishing touch! Love this idea! Thank you for sharing. I used triangles on my children’s school uniform shirt tags, bands, or collars when they all wore the same shirts. I picked a different color for each child so laundry was much quicker to sort! Ooh, love this idea, it might be nice on pockets too. Off to try! What a great idea! 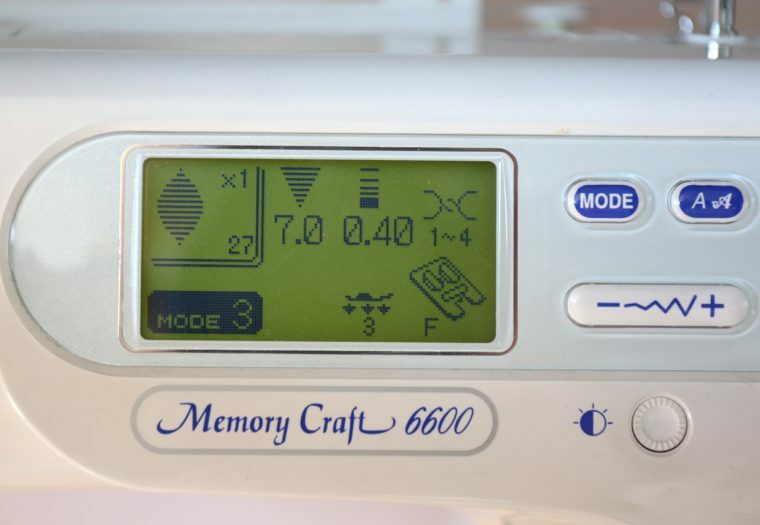 I have the same machine and never thought of using the decorative stitches this way. Thank you for sharing. Oh, have fun! That machine has so many different stitch options, I’m sure you’ll find other fun choices to try! Can’t wait to see which ones you choose! Instead of holding the fabric taut, use some tacky stabilizer. Cut a small piece of stabilizer and stick it to the underside. I use water soluble but you can use a tear away. I use it for knits and tight corners. Another useful bartack is to use your sewing on a button stitch. The feed dog drops automatically, then set it to the width you want. Good for closing cut ends of zippers and more. Question on using the half machine stitch: I assume you back stitch at the end since the machine isn’t going to do that autimatically. How does that look/work out? Seems stopping halfway leaves you with the wide stitches. I just pull the thread tails to the back and knot them. It’s easiest and neat! Very cool! I love the color aspect this adds, along with the great function.